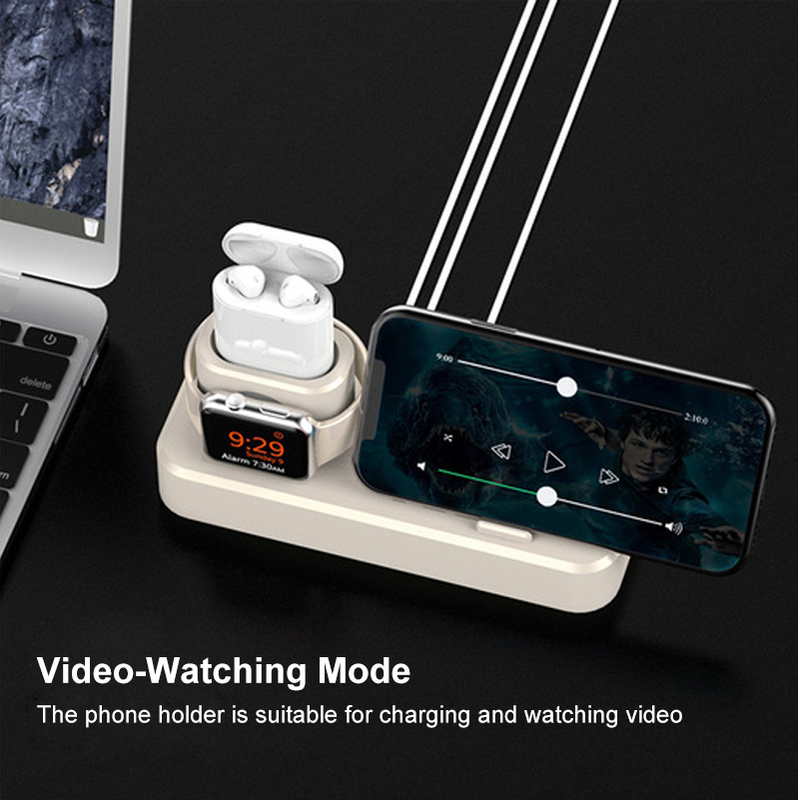 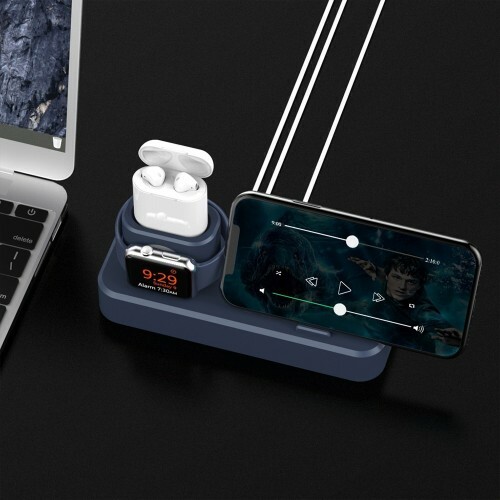 If you have two or more Apple products like iPhone, Apple Watch, Airpods and iPad, then this stand holder will be your favor. Nice neat solution for anyone who hates cords everywhere, now you have a chance to end your messy life. 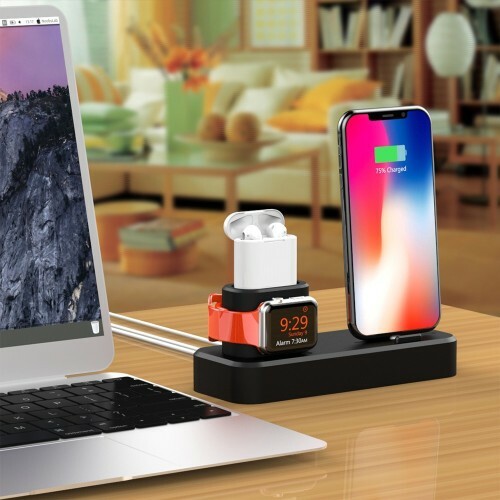 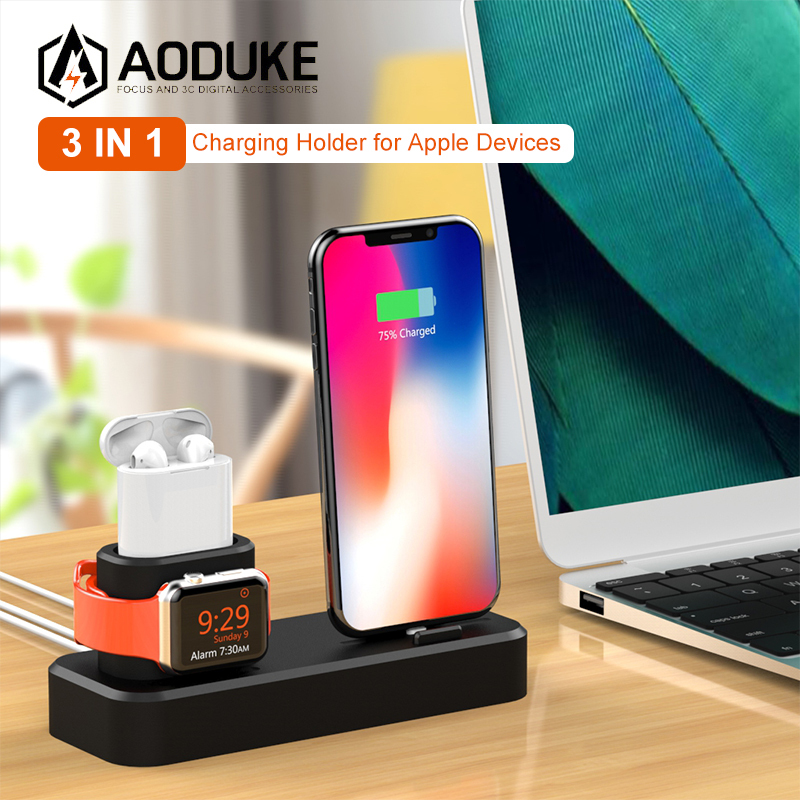 You could charge your apple devices at the same time. 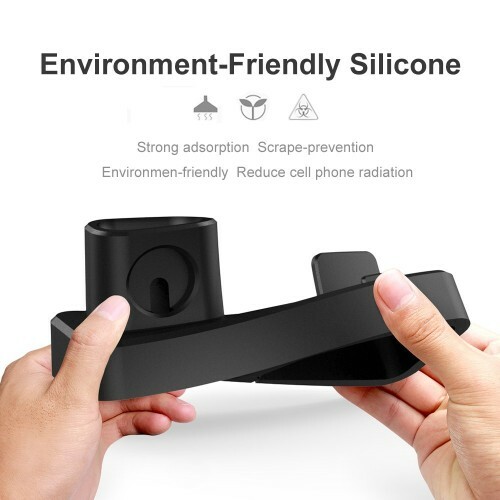 Silicone material to protect your apple devices from scraping. 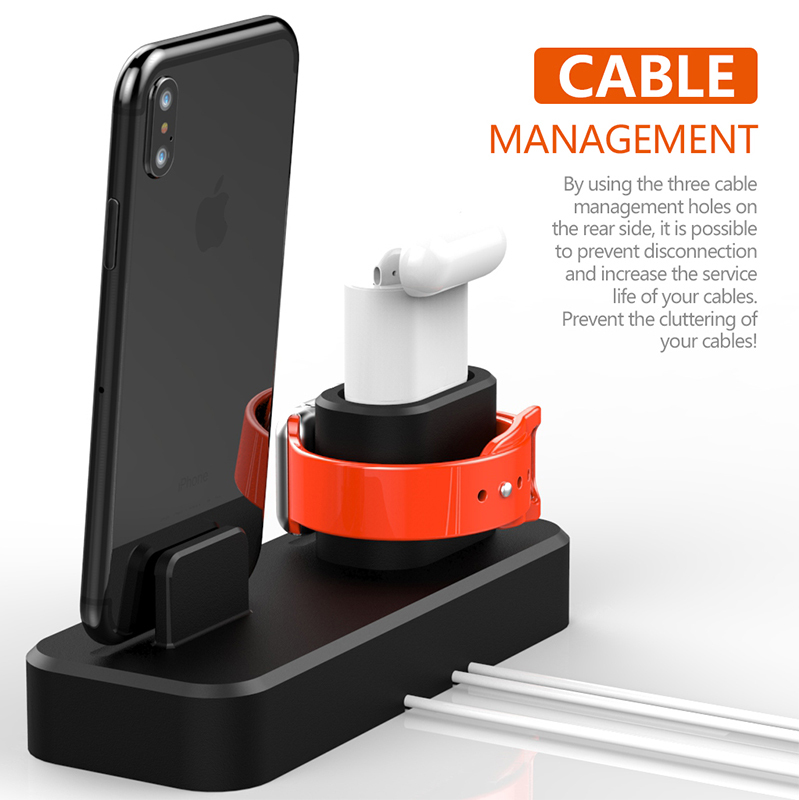 A necessary device for apple members, Say goodbye to the endless tangle of cords. 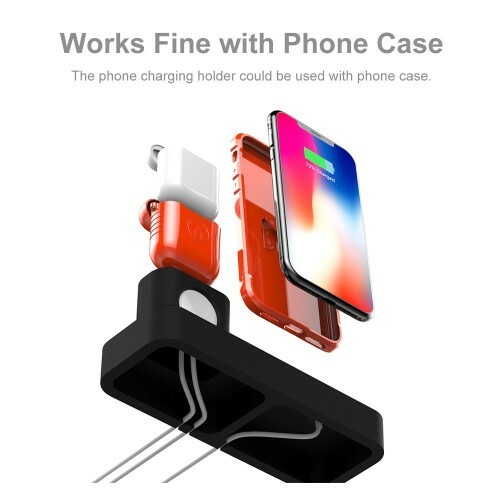 Compatible with most of Apple product, perfect suit for all version Apple Watch (38mm and 42mm), Apple Watch Series 3, Series 2, Series 1, Nike+, Sport, Edition, iPhone X, iPhone 8/8 Plus, iPhone 7/7 Plus, iPhone 6s/6s Plus, iPhone 6/6 Plus, iPhone 5/5S/SE/5C, iPod, iPad etc..
Silicone construction is lightweight to carry, and protect your apple devices from scratching. 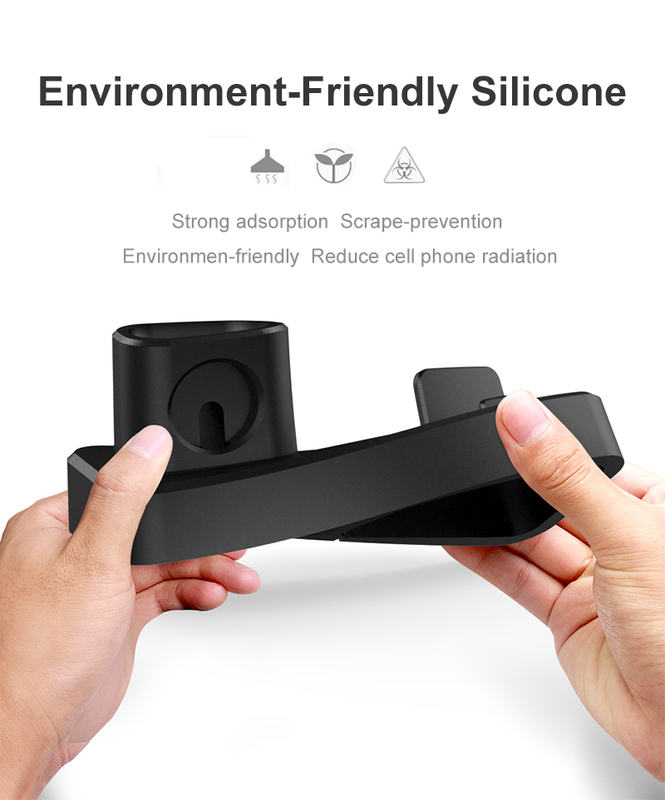 Environmen-friendly material reduce cell phone radiation. 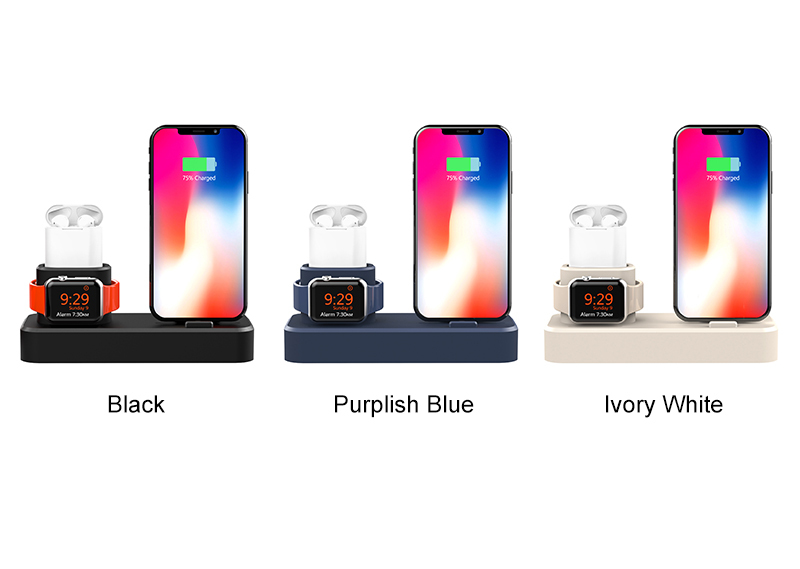 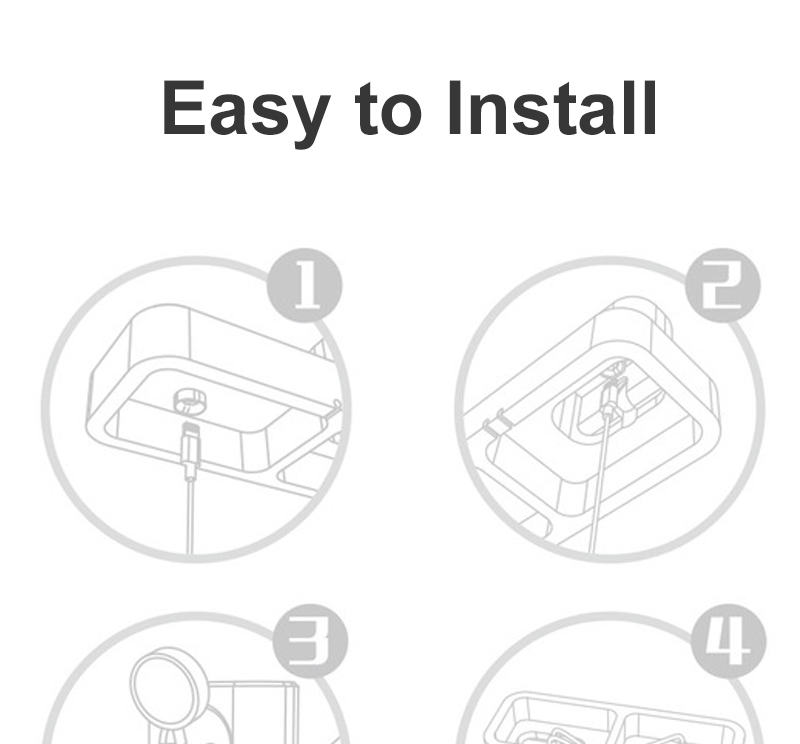 You could put your valuable iwatch around the watch holder to charge, which is safe to protect your watch from dropping. 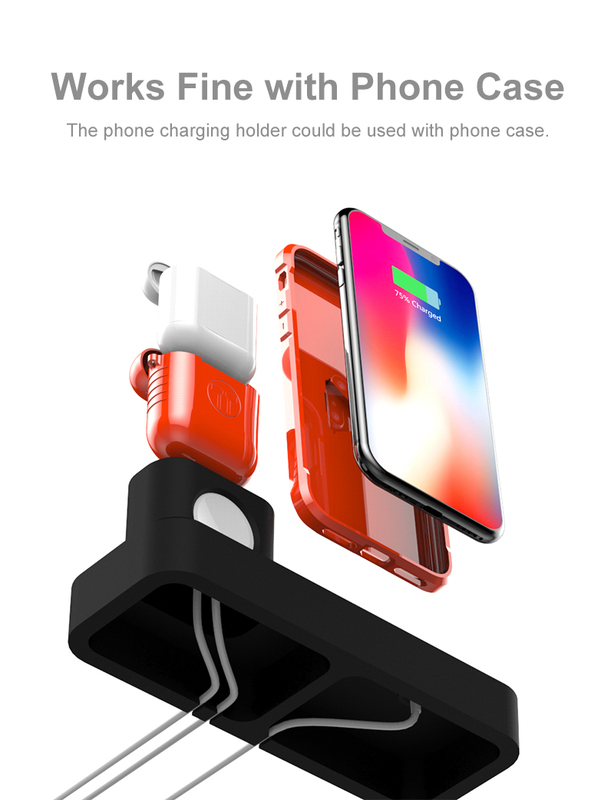 It can charge mobile phones and watches at the same time, very practical.